MANILA - (UPDATED) The ousted top judge of the Philippines will appeal the decision to sack her, after she battled with President Rodrigo Duterte over his deadly drug war, her spokesman said Sunday. Maria Lourdes Sereno's colleagues voted on Friday to remove her as Supreme Court chief justice in an unprecedented decision that has sparked a legal firestorm. "She's filing a motion [for reconsideration]. It's part of her right to look actually look at how she could still appeal the decision," her spokesman Atty. Jojo Lacanialo told ANC. Sereno's camp is still studying the possible grounds of the appeal, said Lacanilao. He noted that only one justice who voted for Sereno's ouster would need to change their vote to overturn the quo warranto decision that booted the Chief Justice from office. "The 8-6 votes, one of them at least would need to turn his vote from yes to no so the vote will become 7-7," he explained. "If it's 7-7 votes, at least, meaning 7 only approved the [quo warranto] petition and the petition will not be granted and so the petition will be denied and the judgment against CJ Sereno will be vacated and she will not be removed from office," he added. Duterte had openly called for Sereno's removal from the court, calling her an "enemy" after they clashed over his bloody war on drugs and alleged abuse of power. Sereno's expulsion came due to a petition by the chief government lawyer -- a Duterte appointee -- who argued that she was not qualified for her position and accused her of not filing statements of assets and liabilities in previous years -- accusations she categorically denied. Legal experts, including other Supreme Court judges, have argued that Sereno's sacking is a violation of the constitution, which says a justice can only be removed through impeachment in Congress. In opinions released Saturday, dissenting judge Marvic Leonen called the move "a legal abomination" while fellow justice Alfredo Benjamin Caguioa said, "this case marks the time when the Court commits seppuku (ritual suicide) - without honor". Pacifico Agabin, an expert in constitutional law at the University of the Philippines College of Law, told Agence France-Presse that Sereno's appeal was unlikely to succeed, saying: "I don't think any one of the justices will have a change of mind". 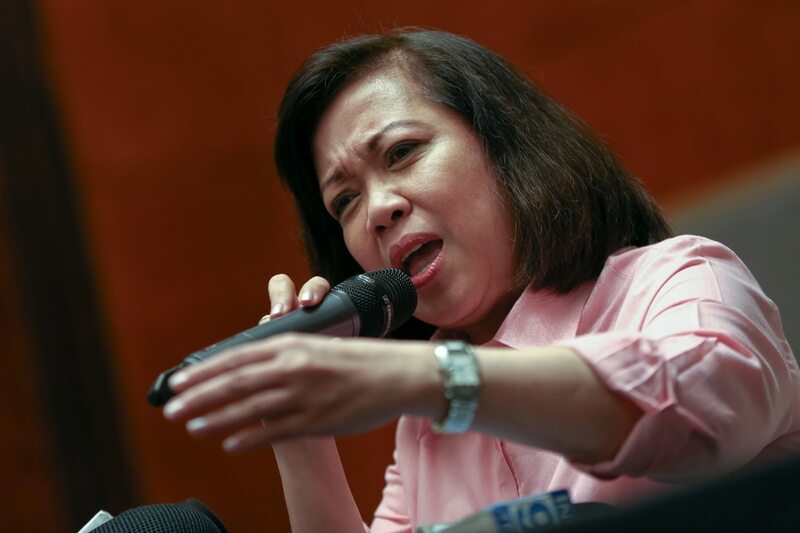 Sereno, who has urged her supporters to "fight for justice and demand accountability", is the latest high-profile critic of Duterte to be targeted after speaking out against the president. Other Duterte critics have also been ousted, punished or threatened, including Senator Leila de Lima who has been jailed, the Commission on Human Rights and an anti-corruption prosecutor who investigated allegations that Duterte has hidden wealth. Duterte has faced global criticism for human rights abuses particularly related to his bloody campaign against illegal drugs which police say has claimed the lives of around 4,200 suspects in nearly 2 years. Rights groups allege the actual number is 3 times higher.